In the nearly half-century in which we have gone from George Wallace to Barack Obama, America has another, less hopeful story to tell about racial progress, one that may be even harder to reverse. In 1965, a young assistant secretary of labor named Daniel Patrick Moynihan stumbled upon data that showed a rise in the number of black single mothers. As Moynihan wrote in a now-famous report for the Johnson administration, especially troubling was that the growth in illegitimacy, as it was universally called then, coincided with a decline in black male unemployment. Strangely, black men were joining the labor force more, but they were marrying — and fathering — less. 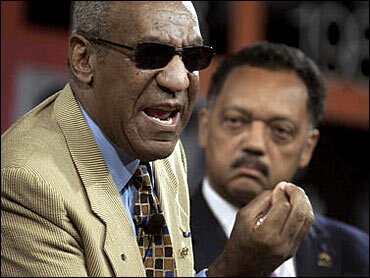 We at Peace and Freedom salute Bill Cosby for his outspoken remarks on Black society and culture…. As recently as July 1, Cosby hurled himself back into the hot seat by yet again openly criticizing the black community while alongside Jesse Jackson at the Rainbow/PUSH Coalition annual conference. But it was the comedian’s first public outburst that really got everyone talking. 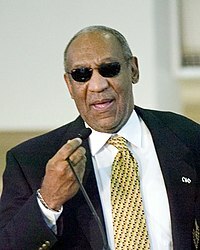 On May 17, 2004, at a NAACP celebration that marked the 50th anniversary of the 1954 Brown vs. Board of Education decision that outlawed segregation in schools, 66-year-old Bill Cosby made pointed comments about the way black youth dress, citing their oversized clothes as “ridiculous.” He also attacked lower class blacks for not speaking proper English, not raising their kids properly — by instilling corrupt and materialist-based values — and naming them silly names. His bottom line: black people have to take personal responsibility and own up to the fact that (part of) the reason we have not advanced further is because of squandered opportunities. From the front page to the Op-Ed section, the African-American press has been filled with commentary on the actor and philanthropist’s tirades. The past month has seen Cosby’s words rehashed and dissected, with opinions ranging from full on agreement to flat out denial. Following Cosby’s lead, some commentators worry that blacks have not done enough to improve their situation. 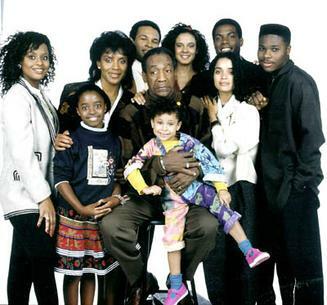 Bill Cosby has long bristled at suggestions that his pioneering NBC comedy, “The Cosby Show,” was somehow unrealistic in its portrayal of a black upper-middle-class family. The entertainer and comedian, who was promoting Tuesday’s release of the 25th anniversary box set of “The Cosby Show,” also admitted to being pleased with observations about the role of the so-called “Huxtable factor” in Obama’s victory.